All you have to do is snap a photo of your divine goodies together with Lamb Brand products and upload it on your Facebook. One lucky winner will win a fantastic hamper filled with Lamb Brand products and gifts. The winner will be announced on Friday 6th January 2017 and will be judged by our judges on the amount of likes, shares and creativity! 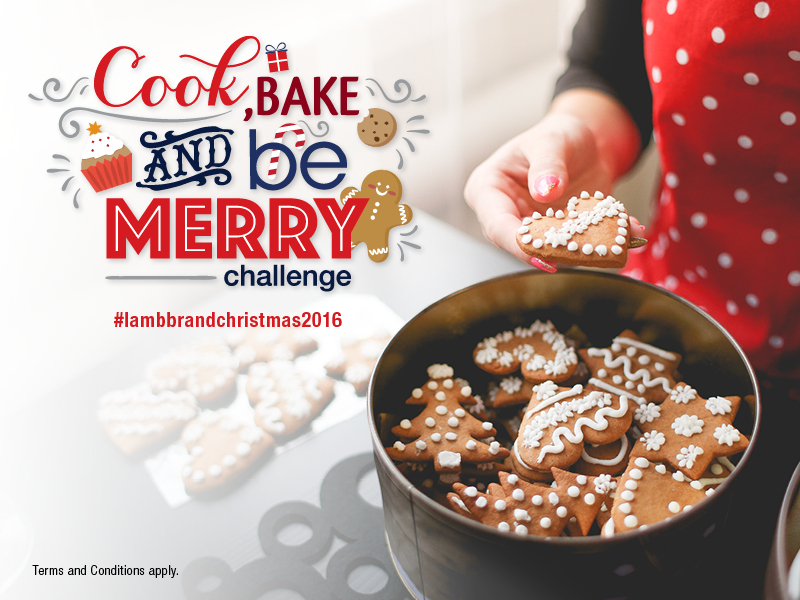 - To be eligible you need to LIKE Lamb Brand Facebook Page. - Prize must be collected, no deliveries will take place. - Competition prize cannot be redeemed in cash or exchanged for any other merchandise or goods. - Only Home Made goodies are eligible for the competition. - Photos submitted for the competition should at least have 3 Lamb Brand products.